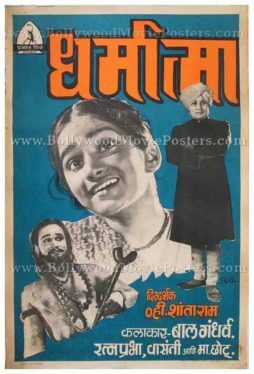 Extremely rare, old Bollywood movie poster of the black and white Hindi film, Gopal Krishna (1938) for sale. 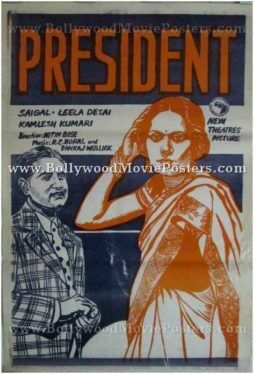 This is an actual surviving original old Bollywood movie poster of the 1938 film which was produced by Prabhat Film Company and directed by Vishnupant Govind Damle. Although the storyline of Gopal Krishna was mythological, the film like many others produced by the Prabhat Film company was social film. 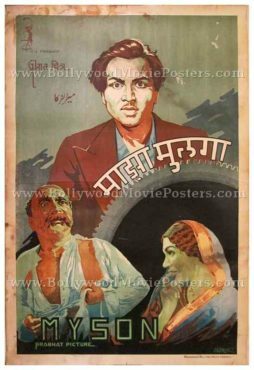 A remake of Prabhat Film Company’s first silent film Gopal Krishna (1929), it was made in Marathi and Hindi simultaneously. 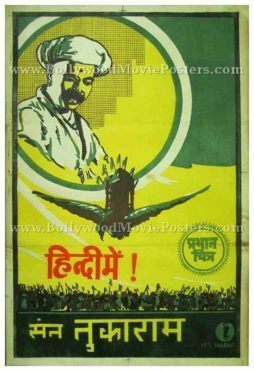 Made in the pre-independence era, the film used a mythological script to subtly portray the resentment of Indians against the British occupation at the time, making this old Bollywood movie poster, highly collectible. 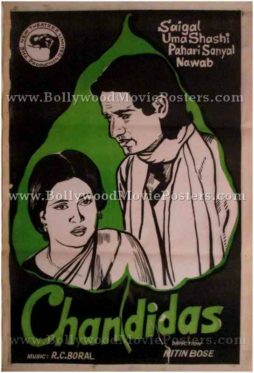 Printed and circulated during the first release of the film (1930s), this old Bollywood movie poster was originally designed for publicity of the film but never ended up being used. 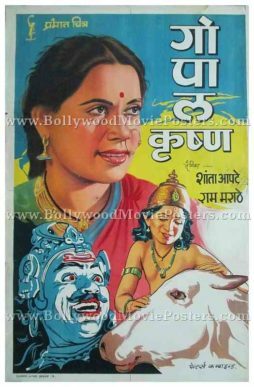 In this old hand painted Bollywood movie poster, a young Krishna is seen petting a cow, signifying the mythological theme of the film. The oppressive king Kamsa (who plays the villain) is seen hand painted in blue at the bottom. A beautiful hand painted portrait of Shanta Apte is seen at the top. This vintage Bollywood poster was originally hand painted on canvas by a leading poster design studio in Mumbai. 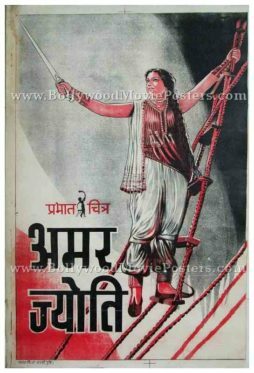 Extremely rare, old Bollywood movie poster of the black and white Hindi film, Amar Jyoti (1936) for sale. 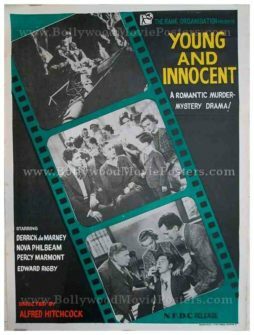 This is an actual surviving original old Bollywood movie poster of the 1936 film which was produced by Prabhat Film Company and directed by legendary filmmaker, V. Shantaram. Legendary film actress Durga Khote (one of the first women from respectable families to enter Indian cinema, thus breaking a social taboo) essayed the role of a rebellious female pirate, Saudamini in the film. Amar Jyoti is regarded as Durga Khote’s finest performance. Her costumes and mannerisms in her role as a pirate helped catapult the film to box office success. 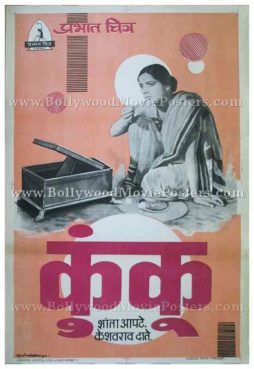 Amar Jyoti is cited as the first Indian film to be screened at the Venice Film Festival, making this old Bollywood movie poster, highly collectible. 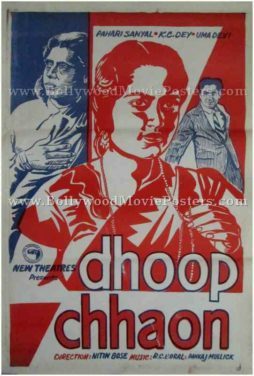 Printed and circulated during the first release of the film (mid 1930s), this old Bollywood movie poster was originally designed for publicity of the film but never ended up being used. In this old hand painted Bollywood movie poster, lead actress Durga Khote is seen in a pirate avatar. A sword in hand, she is seen climbing a rope ladder. This vintage Bollywood poster was originally hand painted on canvas by a leading poster design studio in Pune. 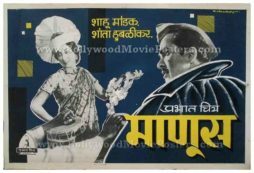 Extremely rare, old Marathi movie poster of the black and white film, Maza Mulga (1938) for sale. 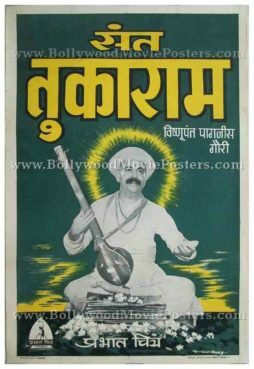 This is an actual surviving original old Marathi movie poster of the 1938 film which was produced by Prabhat Film Company and directed by N. Narain Khale. Printed and circulated during the first release run of the film (late 1930s), this old Marathi movie poster was originally designed for publicity of the film but never ended up being used. Stunning hand drawn old vintage original poster of the cult Charlie Chaplin classic, Modern Times (1936) for sale. This is an actual surviving poster of Modern Times, which was released in India by the National Film Development Corporation of India (NFDC). 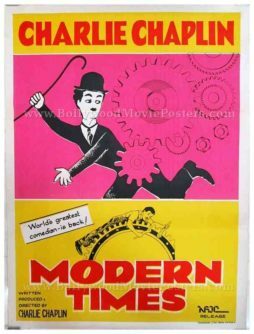 Modern Times is often hailed as one of Charlie Chaplin's greatest achievements, and it remains one of his most popular films till date, making this old hand drawn poster highly collectible. Designed, printed and circulated in India somewhere in the 1970s/1980s during the film's release in India, this Charlie Chaplin movie poster was originally intended for publicity but never ended up being used. This quirky, hand drawn original poster features an almost abstract painted avatar of Charlie Chaplin in his trademark Tramp character. 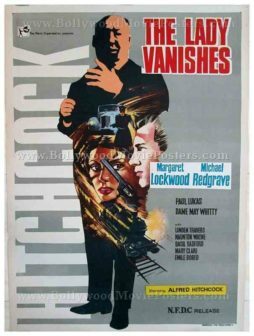 A hand painted still from the most memorable scene in the film is seen at the bottom in yellow. The combination of color tones used in this poster, i.e. pink, red and yellow together with quirky hand painted artwork give this poster a very appealing vintage look. Modern Times is a 1936 comedy film written and directed by Charlie Chaplin. Appearing in his iconic Little Tramp avatar, the film traces the daily struggles his character faces in the modern, industrialized world. Modern Times portrays Charlie Chaplin as a factory worker employed on an assembly line. Modern Times was an oddity, as it was an almost completely silent film released in an era where the industry had long since moved on to sound (talkies). Charlie Chaplin began preparing the film in 1934 as his first sound film or “talkies”. 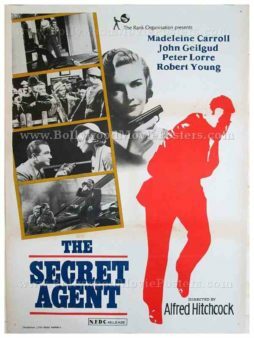 Dialogues were reportedly scripted for the film but abandoned soon after. The film was reverted back to a silent format with synchronized sound effects. Charlie Chaplin is reported to believe that his iconic “Tramp” character would lose value if he ever spoke on screen, particularly in non-English speaking territories. It is widely believed that Charlie Chaplin was inspired in part to make Modern Times after a chance conversation with Mahatma Gandhi, in which the Father of the Nation complained about the industrial age's ill effects in producing “machinery with only consideration of profit”. The Library of Congress selected Modern Times in 1989 for preservation in the United States National Film Registry. 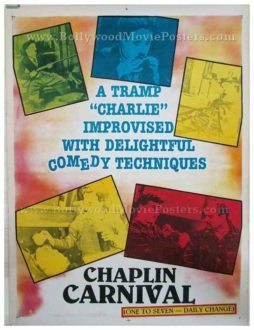 Old publicity poster of the classic Hollywood release, Charlie Chaplin Carnival (1938) for sale. This is an actual surviving poster of the 1938 comedy compilation starring Charles Chaplin – the most iconic figure in international film history. 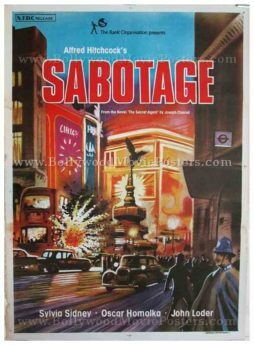 Printed and circulated in India somewhere in the 1970s/1980s during the release of the film by The National Film Development Corporation of India (NFDC), this poster was originally intended for publicity of the film but never ended up being used. Charlie Chaplin Carnival (1938) is a compilation film that comprised of four Chaplin short films from 1916, namely Behind the Screen, The Count, The Fireman, and The Vagabond, presented with music and sound effects. 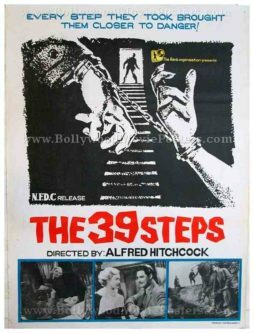 This poster was circulated during the National Film Development Corporation of India's (NFDC) release of the film in India.